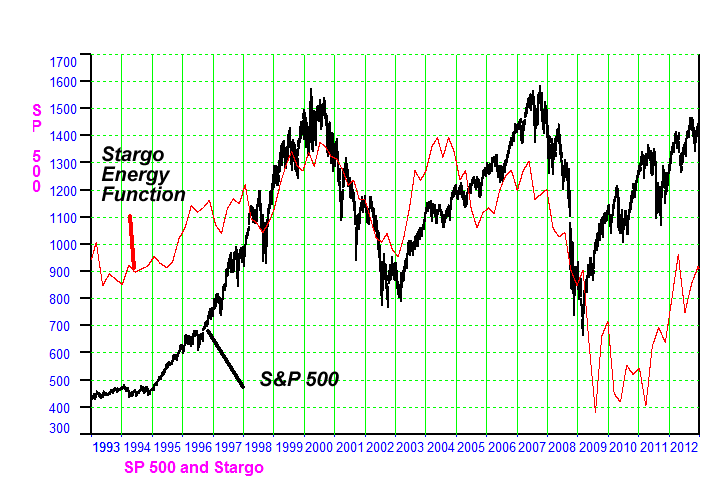 Stargo An Energy Pattern Related to the US Stock Market is a new course on a discovery from Dr. Al's Market AstroPhysics Research. The first portion of this course is already available. It is a basic introduction. Since that intoduction simply explains what Stargo is and is not, I have decided to make it available publically. The reason for doing this is that plans are to only sell 100 copies at $3600 each. This introduction should be enough to let you decide if you want to take this incredible course. April 2014 : The Stargo Course is now available online.